On top of all this Charlie remains one of the most down to earth and friendly characters you could ever want to meet. He’s a music fan just as much as others are fans of the Subs, so he always makes time for anyone who wants to chat. 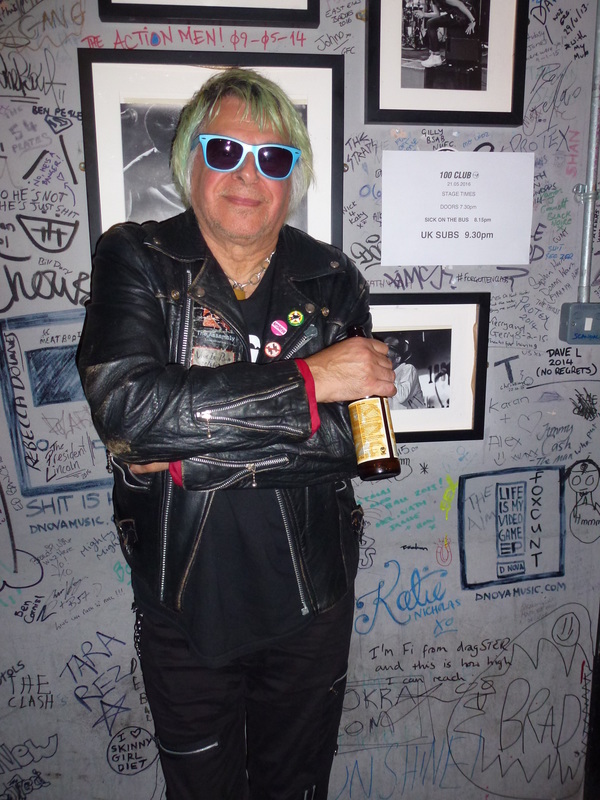 And even at 72, he still has more energy and enthusiasm than most bands even a third of his age. I assume your family moved back to London after the War ? So those would have been your first real interests in music. When did you actually start playing music in public ? Is that what lead on to you joining a band ? Despite its’ reputation now, The Roxy was only a very small club and only lasted for a very short time. How did you get to find out about it ? Obviously, you and Nicky came from different musical backgrounds. Do you think that combination also helped the band to develop their own style ? The ‘CID’ single came out in 1978 on City Records. How did that come around ? After the success you had with the ‘CID’ single, you switched over to GEM Records, a subsidiary of RCA. Were you not tempted to stay with the City label, as they were already doing pretty well for you ? It certainly worked… the next single, ‘Stranglehold’, went straight into the Charts and you even gave you your first appearance on Top of the Pops, something that seems almost bizarre when you consider it these days ! Going back to ‘Stranglehold’, you had to alter the lyrics slightly before you could perform it on Top of the Pops, didn’t you ? Everybody knows that your album titles have gradually worked their way through the alphabet, from A to Z, but when did you actually decide on that approach ? Was it something you set out to do, or did it just start by coincidence with the first few albums and you decided to follow it through ? I remember reading, quite early on in the bands’ career, that you had already suffered several heart attacks. They certainly don’t seem to have slowed you down over the years, but were they ever a serious hindrance to your work with the band ? It was soon after that ‘Keep On Running’ single that Nicky Garrett left the band. You were still a very popular band, so why did that happened ? 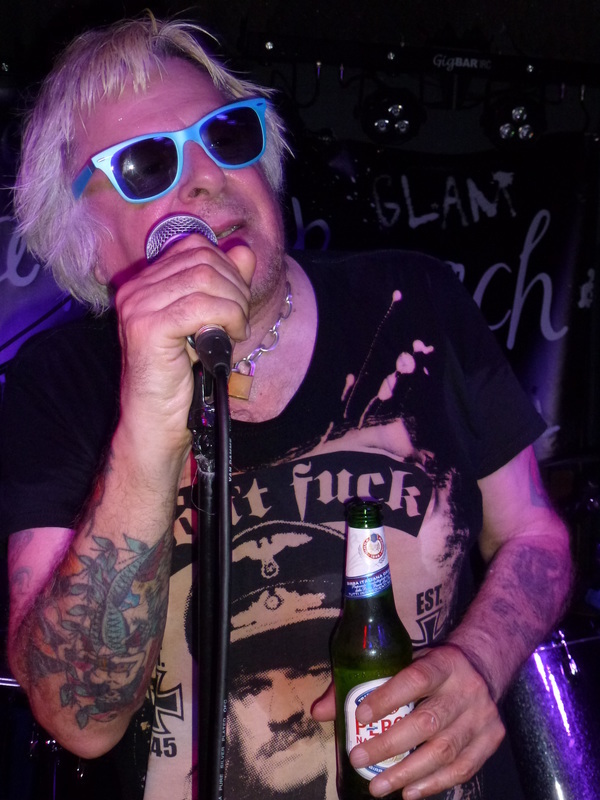 Nearly ten years ago, you did play a short tour with the ‘classic’ UK Subs line-up, featuring yourself, Nicky Garrett, Paul Slack and Pete Davies. Would you ever consider doing something like that again ? 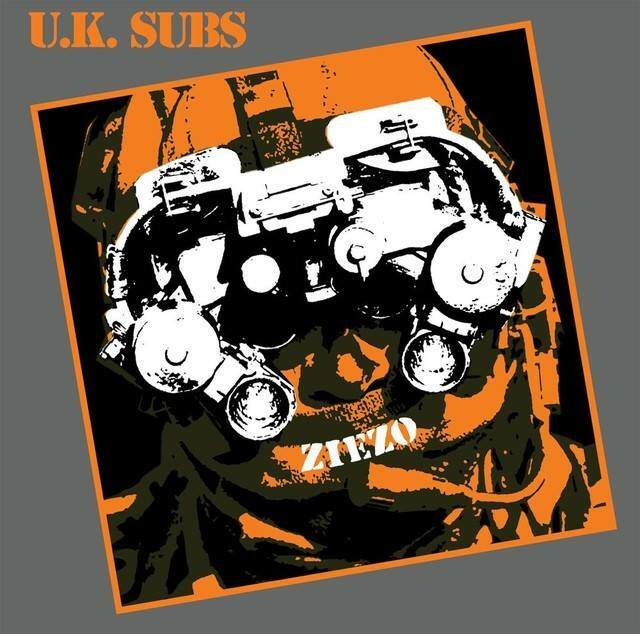 Moving right up to date, you’ve already announced that ‘Ziezo’ is going to be the UK Subs final studio album. I know that previously you had said in interviews that if the band ever made it to the letter ‘Z’, you still intended to carry on. So, at what point did you decide that ‘Ziezo’ was going to be the last one ? Where did the albums’ title, ‘Ziezo’ come from ? You also have the song ‘Maid of Orleans’, who also gets a mention in the song ‘Proto-Feminist’. Where did your interest in Joan of Arc come from ? The song ‘City of The Dead’ is Ska-based. Is that the first time you’ve played that style as a band ? You’ve already sorta mentioned this, but now that you’ve completed your final album, what are you planning to do next ? At a point where many would be considering a quieter life, Charlie just isn’t someone who can stop what he’s always been doing. Perhaps the release-schedule and the relentless touring are going to ease-up over the next few years but still leaves plenty of opportunity for Charlie and the Subs to continue at their own pace. Quite frankly, I just can’t imagine him being able to give it all up and I doubt that’d ever want to ! After meeting-up with various friends for a pre-gig scoff at our favourite pizza restaurant, we return to the 100 Club right on time for the gig. The place is packed but not uncomfortably, so we still have some room to breath despite the high temperatures outside. Not that it holds the band back at all. As soon as they reach the stage, they blast through the set with total commitment. Plenty of older material intertwined with older crowd favourites and all of it being as well-received as it ought to be. The songs from ‘Ziezo’ already seem well-known to many of the audience, even though the album has only just been released, and indeed they provide some of the stand-out moments of the set. I have to admit, there were times in the past that I thought I’d never get to see or hear the band playing as well as this again, but Charlie’s dedication has seen them through and ‘Zeizo’ has truly delivered one of their best albums. I know many are still going to doubt it, but just hear the album or see the band live. It’s not merely nostalgia, this is a band at the top of their game. In a lot of ways, I’m surprised to be saying that in 2016, but damn, am I glad to be able to do it !